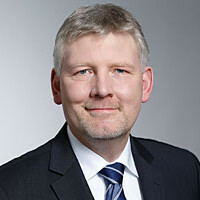 Since 2014 Volker Münch has led the global property insurance business at AGCS for the high-tech, telecom and services industries. He is one of AGCS’s global experts on supply chain insurance, non-damage business interruption and data-driven business interruption topics. He started his career at Allianz after joining from Marsh Group as property underwriter for large industrial clients in Germany. After underwriting roles there and in the US, he transferred to a head office role, in charge of strategy development as well as international insurance solutions and product development.